Last year, rumours popped up that Australian billionaire Clive Palmer was working on cloning a dinosaur.Whatever happens to those plans, it’s clear that Palmer has a taste for recreating the past. The 58-year-old, who made his fortune from natural resources like coal and iron, is now bringing the world’s most famous ship back to life. 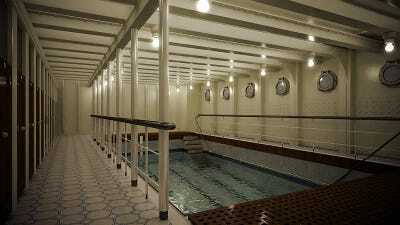 In New York on Tuesday, he unveiled images of Titanic II, a replica of the ocean liner that sank on its maiden voyage in 1912, claiming 1,502 lives. 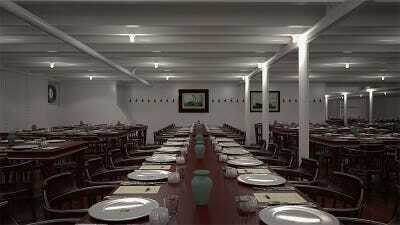 To offer 21st century cruise-goers the chance to sail on the Titanic, Palmer created the company Blue Star Line last year. 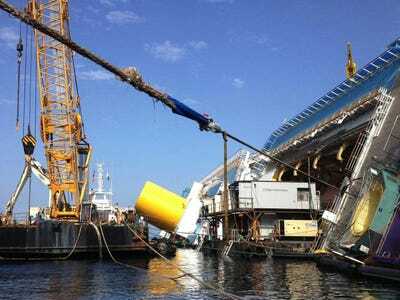 The ship is being designed by Finnish company Deltamarin, and will be built by Chinese state-owned CSC Jinling Shipyard, Reuters reported. 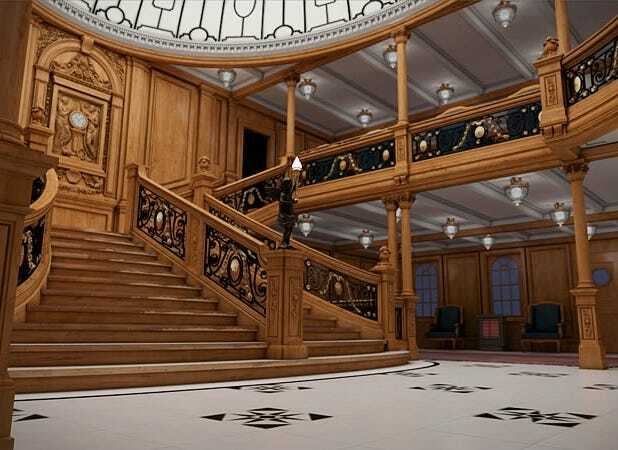 While the new Titanic will have air conditioning and modern safety equipment (and enough lifeboats for all of its 2,435 passengers and 900 crew), it will be made to look just like the original. 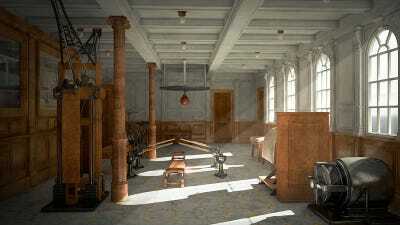 Passengers will even be divided into three classes, and will be kept from mingling with those outside their station. 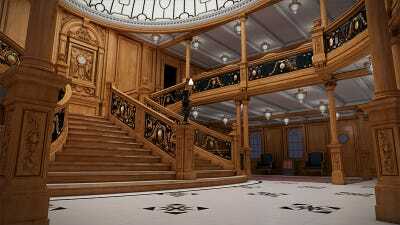 Construction should begin next year, and Palmer hopes to have the ship cruising by 2016. He has not specified how much the project will cost, but says the funds are coming from his own pocket, and that he’ll spend what it takes to get the Titanic back on the ocean. 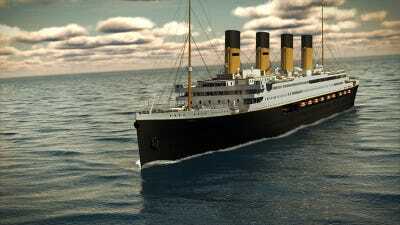 From the outside, the replica will look just like the original, but with enough lifeboats for everyone on board. 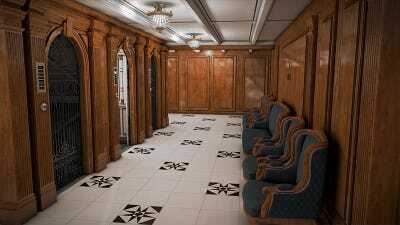 The first class cabins will be decorated like they were in 1912. 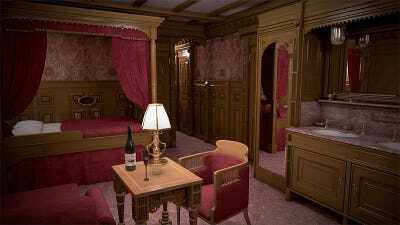 The smoking room on the original Titanic was reserved for male passengers, but Blue Star Line does not specify if that will be the case on the replica. 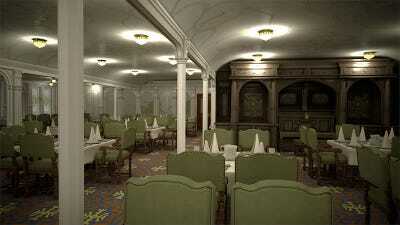 Blue Star Line says that in 1912, the first class dining hall was the largest room on any ship. 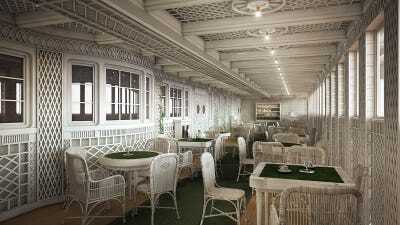 The Cafe Parisien is also reserved for first class guests. 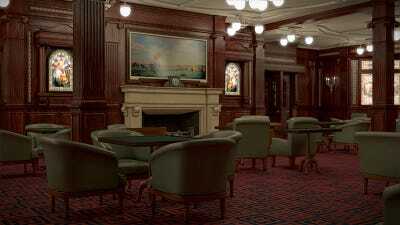 The dining hall for third class guests is considerably less chic, but could make for a more convivial atmosphere. 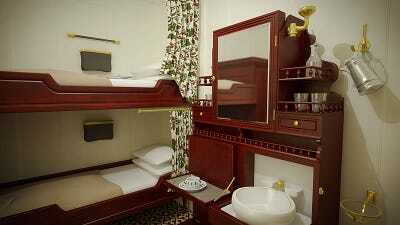 Guests in third class won't be able to share beds, unless they want to squeeze into a twin. 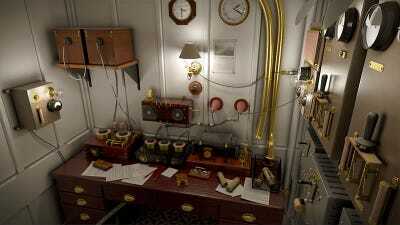 Maybe the radio room is just for show, since it is equipped with communication technology that's more than a century old. 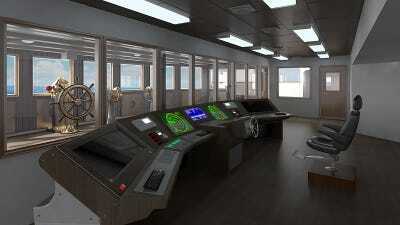 For obvious reasons, the wheel house will feature modern equipment to navigate and keep the ship running. But it looks like guests who want to exercise will have to make do with punching bags and a bench press. 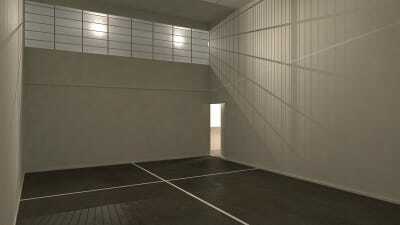 For those who know how to play squash, there will be a court on board. Or they could hit the salt water pool, which is a bit small for swimming laps. 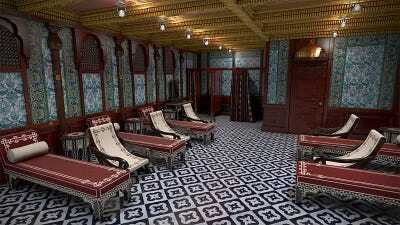 The pool is connected to the Turkish bath, rather different from the fancy spas found on modern day cruise ships. If the elevators take a while to arrive, guests can relax in these armchairs. 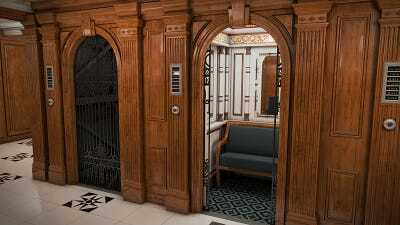 And there's comfortable seating inside the elevators, too. Fans of the film 'Titanic' are sure to love hanging out in the grand staircase, where Jack and Rose met by the clock. Suspended from the staircase's glass dome is a 50-light crystal chandelier. 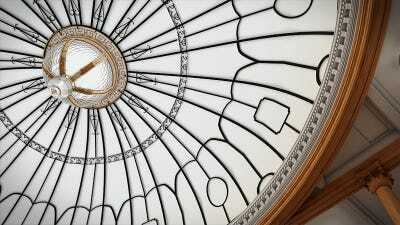 If all goes well, the dome won't collapse under the weight of ice cold seawater. Now see what happened to another wrecked ship.